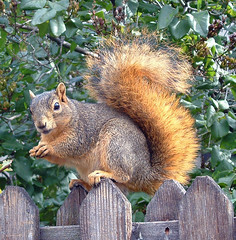 That squirrel is in fine condition, just look at that beautiful tail. Is this picture from your garden? Oh, yes -- one of the large, healthy, well-fed family.